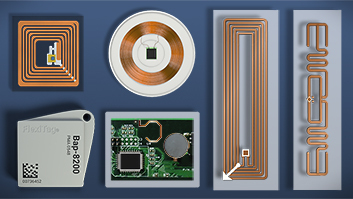 An RFID reader consists of a transceiver, antenna, controller, and interface to a computer. 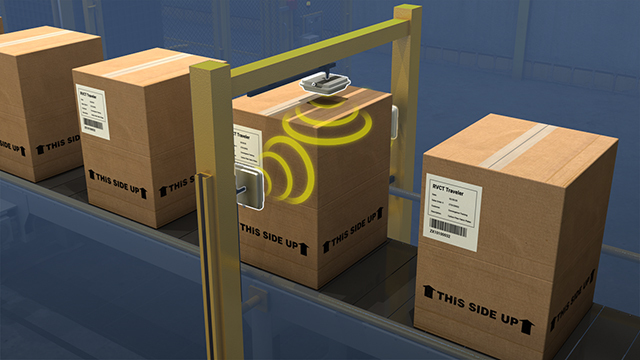 Fixed location readers have separate antennas that are positioned to facilitate tag reading. 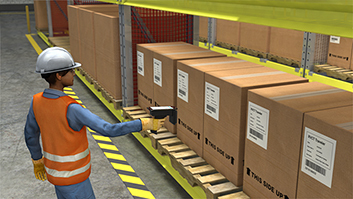 Hand-held readers are self contained and have a more developed user interface. 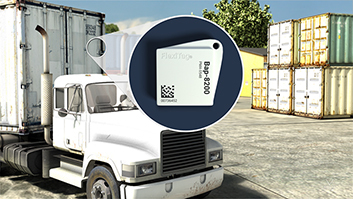 An RFID reader sends commands and information to an RFID tag and receives information from the tag. A reader consists of a transceiver, antenna, controller, and computer interface. 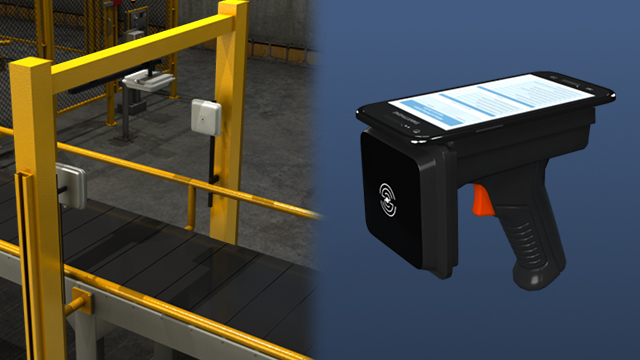 Readers communicate with tags using either inductive coupling or backscatter coupling. 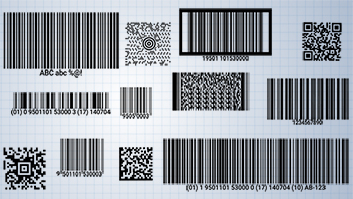 Both techniques rely on the tag modifying the electromagnetic field to send encoded information back to the reader. Besides handling radio communications, the reader is responsible for performing data verification and passing tag data to a database. 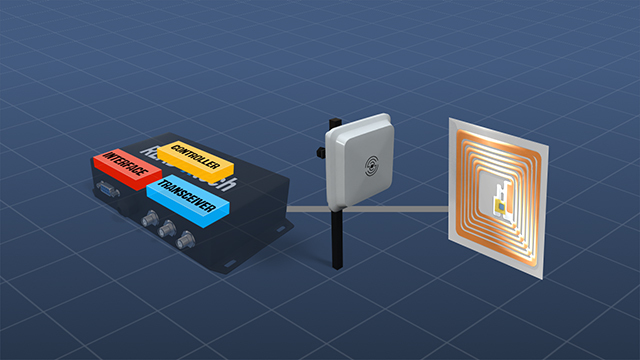 How can an RFID reader communicate with the computer system? Is a wired connection required? Readers can be interfaced to a computer system by a USB interface or by a wired or wireless Ethernet connection. How exactly do readers and tags use radio signals to pass useful information? There are several techniques; all of them modify the basic single-amplitude oscillating carrier wave signal to encode the information being transmitted. 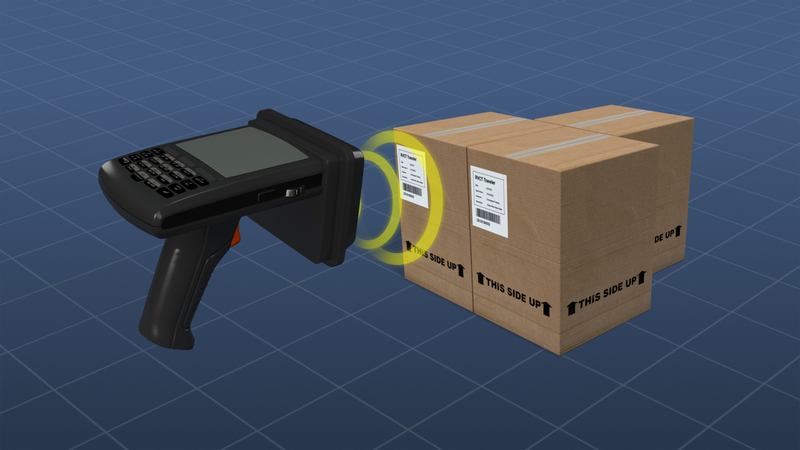 How does a single reader scan multiple tags simultaneously? Several algorithms have been developed to sequence reporting by multiple tags. In one simple method, a reader sends out one request at a time from a list of known tag numbers. 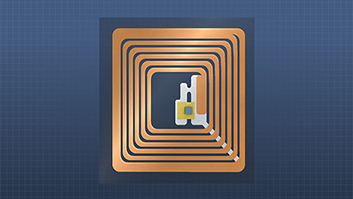 In "inductive" coupling, or "near-field communication," the reader's antenna broadcasts an electromagnetic field, and the reader detects when an RFID tag draws energy from this field. The tag's interaction with the field allows it to communicate with the reader. In "backscatter" coupling, or "far-field communication," the reader's antenna broadcasts a uniform electromagnetic field, and the RFID tag antenna encodes information in some of the energy from the field and reflects it back to the reader. There is a sequence of operations that a reader and tag go through to communicate, regardless of the reader type, reading frequency, or tag type. 1) When a tag moves into the carrier signal of a reader, the antenna of the tag will absorb energy from the field and the electronics will activate. 2) The tag will modulate the reflected carrier wave and return unique encoded information to the reader. 3) The reader will receive the returned signal and turn it into digital data. 4)The digital information will be sent via a network connection to a computer which can store it in a database. We will now examine each of these steps in more detail.